As controversy swirls around Donald Trump’s upcoming “Saturday Night Live” hosting gig, TheWrap was curious about the impression he left first time he graced the stage at 30 Rockefeller Center. Paula Pell, a longtime “SNL” staff writer who still contributes to Lorne Michael’s TV mainstay, worked on the show when Trump hosted in April 2004 at the height of his “Apprentice” fame. Pell, who wrote the script for the upcoming Amy Poehler and Tina Fey movie “Sisters,” detailed her experience with Trump as host — like his “very entertaining, sort of bizarre” character traits, his desire to state the obvious and his very healthy self-esteem. 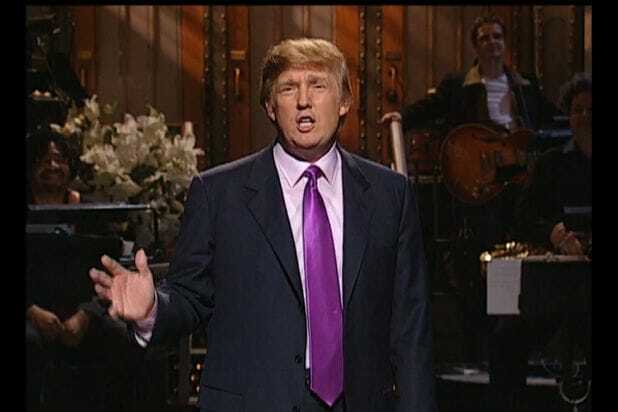 TheWrap: In 2004, Donald was an NBC darling so naturally he was asked to host. What were your first impressions? And at the time, Darrell Hammond was impersonating Trump. Yes, a writer named John Lutz and I wrote the Darrell Hammond Trump sketches for a few years. They were actually based on when Trump hosted the first time. When you would give him notes, and he would say, ‘I need you to put that on a card for me!’ And, like, that’s what SNL does. We use cue cards. As if we had not been doing the show for 35 years at the time. We started writing him as Darell telling people the obvious — like, he’d say to the dentist, ‘You need to fix this cavity.’ Yes, he knows. Was anything off limits for him? Anything he was unwilling to poke fun at in his own life or business? I think not as long as he was getting laughs. He didn’t have too much of a discerning taste about things. I know he immediately hit the ground running telling us how high the ratings would be. He was very braggy, which didn’t surprise anybody. At the time, he really was somebody that was tremendously fun because he was so confident. His hair is a virtual work of art. It’s not changed. I’m sure the election will be prominent in terms of content, but does it change his parameters as host? It’s a completely different when you’re running for something, I remember with Al Gore, there will be a lot more filters his stuff will go through, as opposed to any other celebrity who might host. It was no holds barred the first time, and the more ridiculous the better. He had a reality show. Now, they’re probably trying to strike a balance. When it gets down to an election year, I think it will start getting a little more humorless. But if any place can take someone and make them funny and at the same time make light of what they are — “SNL” does a beautiful job of that. “SNL” is not a place for candidates to bring issues and be serious. Taran Killam plays Trump now, and I think back to what a boon it was for Tina Fey when Sarah Palin came on. Will this just send Taran into the stratosphere? It’s absolutely the best thing ever to be the person playing someone running. Whether Trump continues to rise in the GOP and actually run, the show can still milk this out for quite a long time. Taran is going to have a really good year. Especially as the person who is most ridiculous? That’s manna from heaven. Also, you get additional viewers who don’t usually watch the show outside an election year. Trump’s episode of “SNL” airs Saturday November 7. Watch his 2004 monologue here. 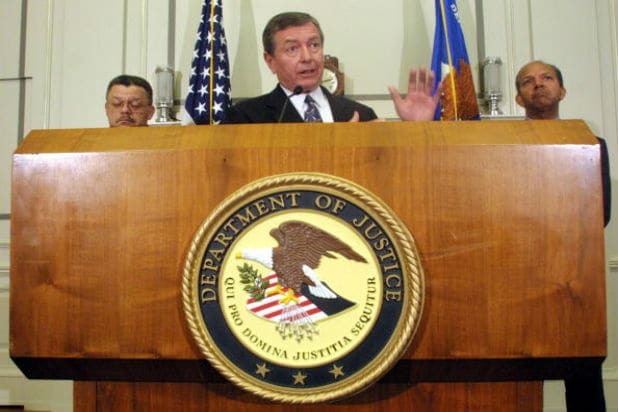 The U.S. Justice Department accused Trump of not renting to minority tenants in 1973. Trump was accused of dooming the fledgling U.S. Football League in 1984 when he insisted it go head to head with the NFL with a fall game schedule. In September 2010, Trump accused the imam of a proposed mosque near NYC's Ground Zero of using religion to bargain for a better real estate price. Joining the dubious "birther" movement, Trump fought to get President Obama to release his long-form birth certificate in April 2011. Trump earned the ire of environmentalists when he unveiled plans for a massive golf course in Scotland in July 2012. Trump upset gay rights groups when he compared gay marriage to golf in February 2013. In August 2013 Trump was the subject of a civil suit for allegedly false promises made to students of his Trump University. A new waterfront Chicago skyscraper opened in 2014 despite widespread complaints about the 20-foot-high sign bearing his name. Trump began a feud with Russell Brand after seeing the British comedian on a talk show and disliking what he saw. Trump minced no words when he tweeted about the "thugs" rioting in Baltimore in April 2015 following the death of an African American man in police custody. Announcing his bid for the GOP nomination in June 2015, Trump set off a media firestorm when he called Mexican immigrants criminals and "rapists." Trump reportedly paid actors $50 a head to attend his presidential announcement speech in June 2015.